Seems like forever ago, Gadora painted and sent out a lil pet portrait of a wee pooch: Hamburger to some creative blogger types in Virginia. They LIKED it! Sherry and John posted it on their amazing blog-turned-life-changer Young House Love. I couldn’t thank them enough for their original mention, but thought I’d offer their readers a Fab Freebie: one 8×10 watercolor to any lucky reader, anywhere. They agreed. I’d paint a furniture watercolor of a readers’ most revered piece, or a watercolor of their prized pet. At least 1,453 design enthusiasts checked out their blog that day (with comments), and many made their way over to Gadora. Contest Winner? These two lil piggies from North of the Border: Piglet and Tigger. Piglet and Tigger - Watercolor Winner! 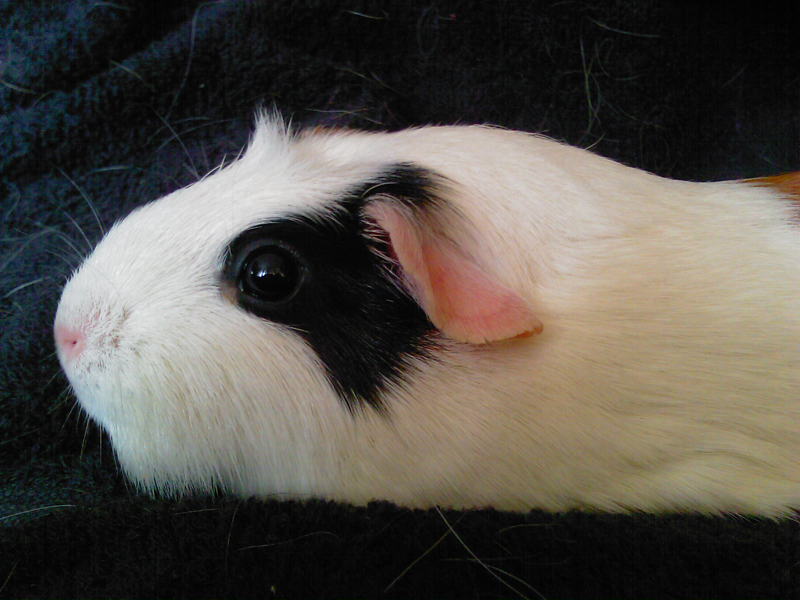 Gadora had never painted a guinea pig before. They would be my guinea pigs* of sorts for their species, get it? Sure, I’d dipped and brushed out a litter of kittens (albeit separately), several packs of dogs, a brood of hens and a horse, of course! Painting Winner Angela’s piggies would prove a challenge: I wanted them in the same frame, but wasn’t sent a photo of them with both their mugs facing the camera. 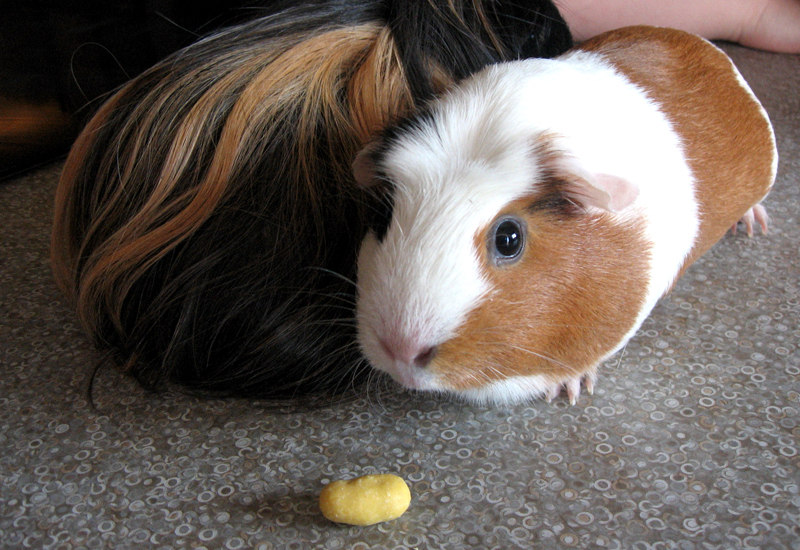 A pair of Piggies and a peanut. Improvisation is key when working up a watercolor, at least on the front end to manipulate the subject matter. So, I sat with all the photos for a while and came up with their winning composition. Turns out… “Piglet and Tigger always sat this way together whenever they were out of their cage. 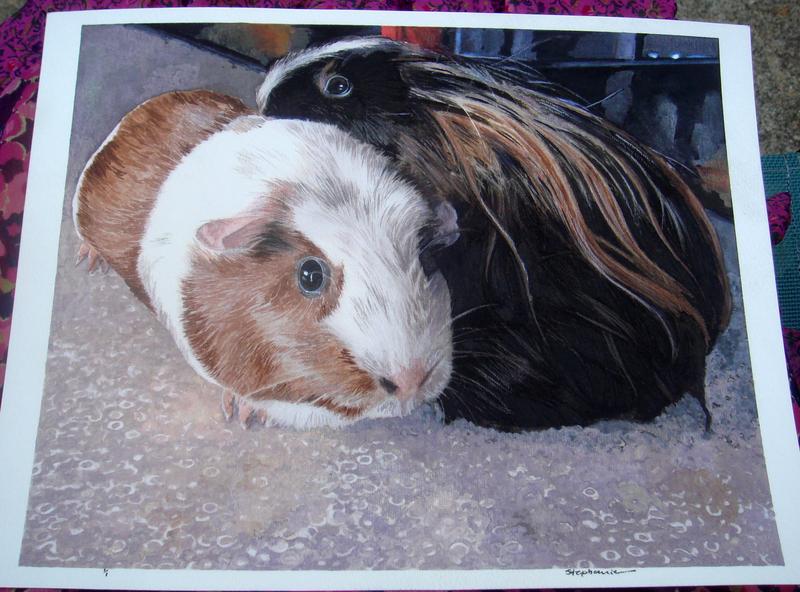 It’s like they always had each other’s back.” Sadly Tigger is no longer with us, and never got to see her watercolor, and Oreo, Tigger’s successor, isn’t as snuggly. Piglet presented a small challenge too. With one eye black and the other swathed in caramel brown, it was tough to decide which side to render. Since ole’ Tiggs was draped in flowing black hair, with hints of orange, I chose Piglet’s lighter side. A close up of Piglet. “I LOVE the painting! You captured Piglet and Tigger perfectly. I can’t wait to get a frame and find a new home for the painting. I also just wrote up a blog post, to spread the love, on my blog here. Thank you so much for everything. The painting is amazing.” Thanks for letting me know! So happy you’re happy. * The animals were frequently used as a model organism in the 19th and 20th centuries, resulting in the epithet “guinea pig” for a test subject, but have since been largely replaced by other rodents such as mice and rats. 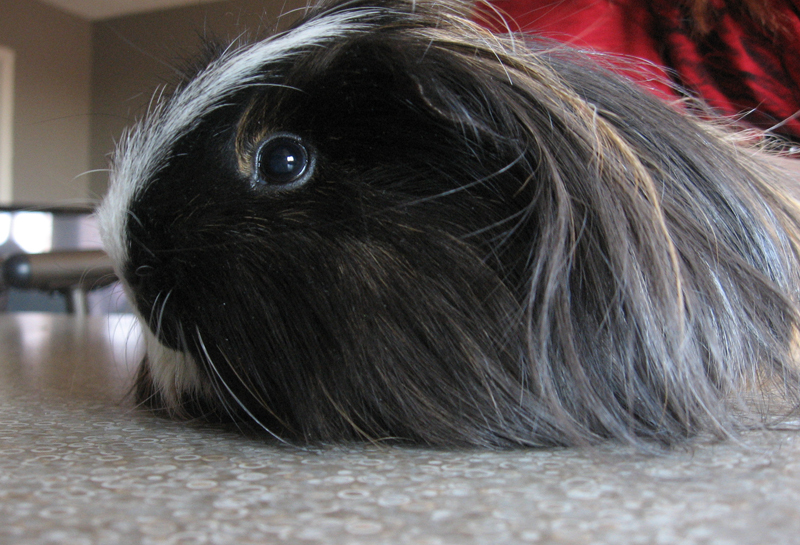 A much deserved Guinea Pig bonus… Supper time. 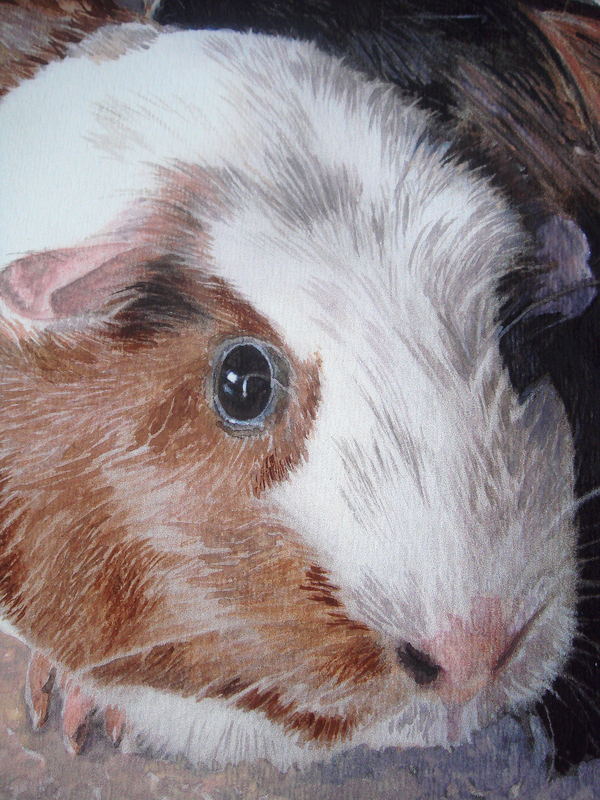 Posted on September 28, 2010 November 7, 2012 by gadorawilderPosted in ANIMAL PRINTSTagged animal print, Guinea Pig, Tigger, water color, Young House Love. Thank you so much again for everything! I am completely smitten with my painting. I also love this post, it’s great being able to get a peek into what it’s like behind the scenes. And the video at the end? Priceless. Here’s a link to my current pricing. But we can talk off line about 3 peeps and 3 pets. Thanks for the kudos! oh my – really nicely done! Enter email to follow Gadora. You'll immediately be in-the-know.